Elena Fernandez-Corugedo | Yoga Kula. My classes are accessible and inclusive and, with the support of the breath, aim to strengthen, stretch and relax both the body and mind. 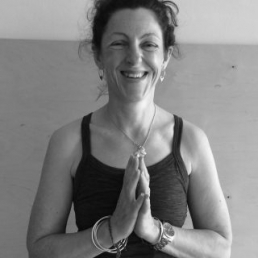 I first began practising yoga in my thirties, primarily as a way to escape from the stresses of everyday life, however, in the last few years yoga has become a much bigger part of my life. I love the way yoga makes me feel physically and emotionally, the things it teaches me about myself, my relationship with the world, and the people I have met whilst immersing myself in it. I completed my teacher training with Yoga Campus in 2016. I have studied Restorative Yoga with Judith Lasater.